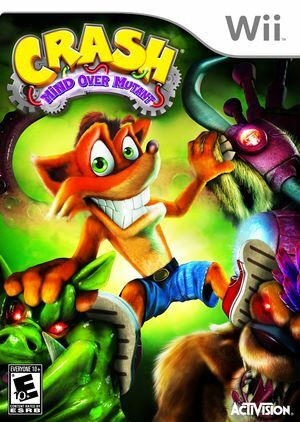 In Crash's latest adventure, Crash: Mind over Mutant, the villainous Cortex has teamed up with N.Brio and created a monstrous mind controlling device that has taken over all the bandicoots and mutants on Wumpa Island. Crash sets out to stop the madness by destroying Cortex's evil device using his quick wits, lightening agility, and the hijacked mutant in his pocket! Save files are corrupted after saving, refer issue 1019. Various sound issues occur, such as: delays, looping music and effects, refer issue 2639. The graph below charts the compatibility with Crash: Mind Over Mutant since Dolphin's 2.0 release, listing revisions only where a compatibility change occurred.